Google Docs is a great solution for saving and sharing documents online, but browsing to the site every time is time consuming. Here we look at a Desktop Gadget that lets you upload files with a simple drag & drop. 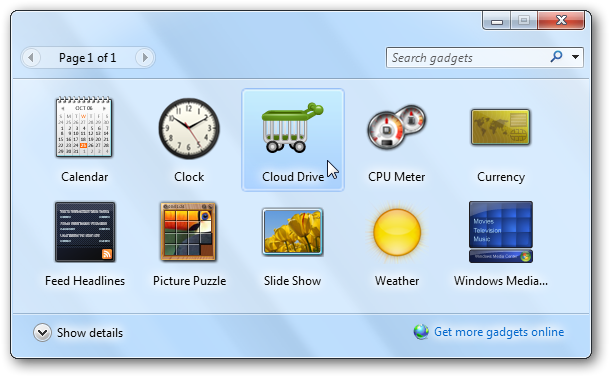 Head to the Cloud Drive gadget download site (link below), and click Download to get started. 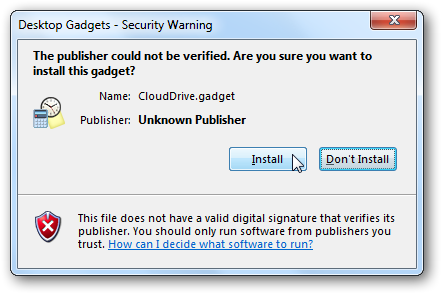 This is a 3rd party gadget, so you’ll be asked to verify you want to download it. Click Install to go ahead and download it. Once the Gadget is downloaded, run and install it as normal. 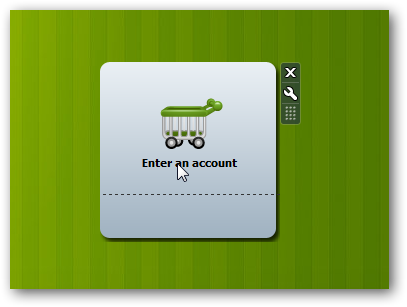 The gadget should appear on your desktop as soon as you install it and you can add it from the gadget gallery as well. You’ll need to add your Google account info before you can upload files. 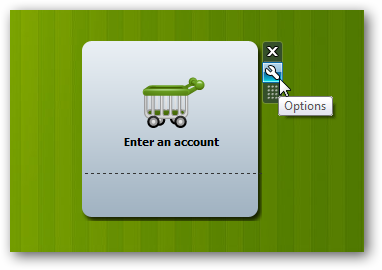 Click the gear button to open the Options pane. 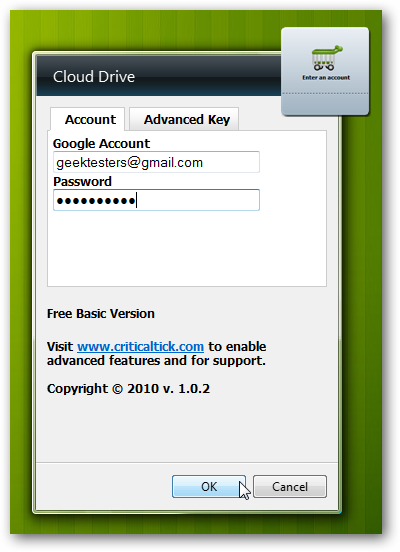 Now enter your Google account info, and click Ok. You can also enter an Advanced Key for more features such as previewing your recently uploaded files and one-click access to the document you just uploaded; to get one, you’ll need to make a donation at the developer’s site. You’re now ready to add files to Google Docs. 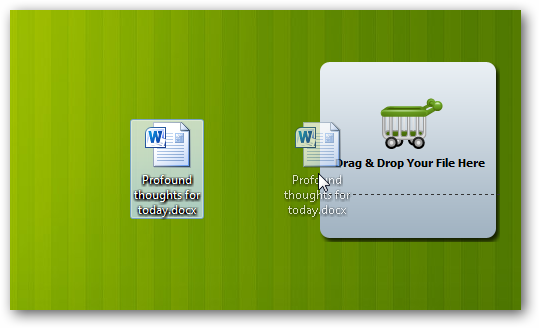 Simply drag any document you want to upload and drop it on the gadget. 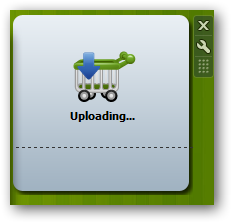 The gadget will now change to show that it’s uploading your file. 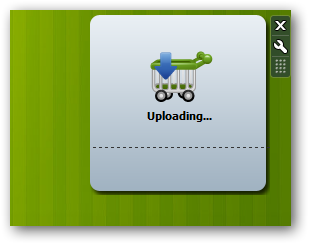 The Gadget will let you know when the upload is finished. Uploading most documents only took a few seconds in our tests. Since you can just drag and drop the documents into the gadget, it’s almost as easy as saving a file on your computer or putting it in your Dropbox. You’ll be able to see your document in Google Docs ready for you to edit online or share with others. 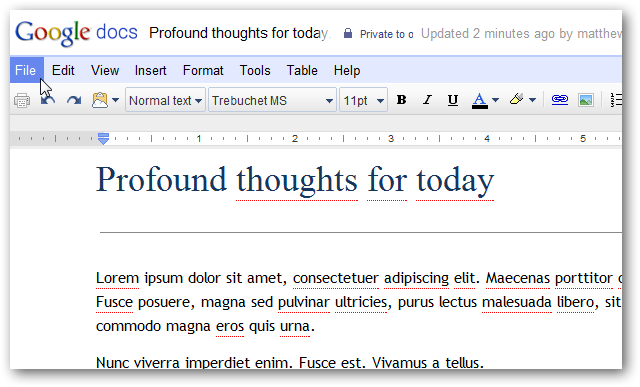 As usual, Google docs will lose some formatting from Word, but this is the same regardless of how you upload documents. This little desktop gadget makes it very simple to add your documents to Google Docs. It’s much quicker and easier than logging in to the Google Docs dashboard to upload files, so it should make it easier to keep your files online if you prefer Google’s web apps. Since it’s just a desktop gadget, it’s also less resource intensive than many other desktop Google Docs solutions. If you’re a command line geek, you might also be interested in our article about Using Google Services Via Command Prompt; you can even upload documents to Google Docs this way. Or you could try Mounting Google Docs in Explorer so you can save files directly to Google Docs just like any other folder.